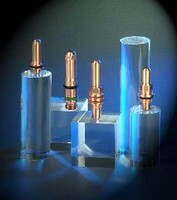 ATTC has introduces a full line of High Definition Electrodes for use in all high amperage plasma applications. The series is manufactured to hold tolerances to within ± .0005 for critical tolerances. This means a more consistent cut quality and longer electrode life. The replacement series is available for Hypertherm®, Komastu®, Innerlogic®, and ESAB® torches.